Hello, everybody! You know that gorgeous little book I’ve been saying will come out in late October? It’s out early. Surprise! Yup, Forbidden Instinct has launched, and with it my new Paranormal Romance series, Forbidden Knights 😀 I think I tricked myself with my original planned release date. 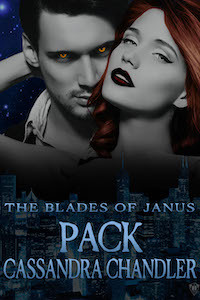 The book was done early, and since it’s Halloween season, I couldn’t just sit on this treat of a book 😀 It’s filled with vampires, fairies, and one very conflicted werewolf caught up in it all. 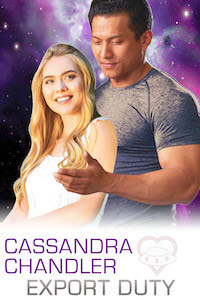 Forbidden Instinct is the story of a waitress who can see the future and is trying to prevent a zombie apocalypse while helping her new boyfriend adjust to being turned into a werewolf. The pair seek out the Knights of Antares for help—a group of warriors who are considered Fairy Tales even among people who fight the fey (fairies). And if you want to know more, you can pick up a copy of Forbidden Instinct now! 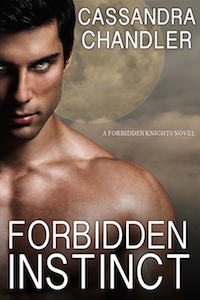 The Forbidden Knights series is loads of fun to write. Now that the first book has launched, I’m turning all my attention to the next one. It’s called Forbidden Pleasure (you can guess the heat levels of these is really up there from the titles). I’m giving myself a more humane goal for this one, and aiming for a Valentine’s Day release. Thanks for coming along for the ride with me and thanks for reading!